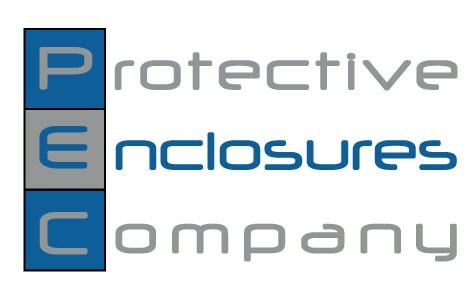 Welcome to the Protective Enclosures Co., LLC's Dealer Page. We invite you to become one of our Dealers. Please complete the application below and submit. We will contact you shortly to complete your setup. Thank you. Please List all Employees Authorized to Purchase. Appointment as a Dealer: PEC hereby grants to the dealer the non-exclusive right to distribute the product to authorized customers for authorized use in the United States during the term of this agreement. This agreement does not grant PEC or the dealer an exclusive right to purchase or sell products and shall not prevent either party from developing or acquiring other vendors or customers for competing products. The dealer will use commercially reasonable efforts to promote sales of the product. PEC agrees that the dealer may obtain products in accordance with this agreement for the benefit of itself and not that of the parent, affiliates, and subsidiaries of the dealer. Term of Agreement: Regarding renewal and conditional renewal; the “Term” of this agreement shall commence on the effective date and shall end twelve months from the effective date, unless earlier terminated pursuant to Article V hereof. On that date and on each successive last day of the Term (a “Termination Date”), the Term shall be automatically renewed for one (1) additional year unless either: (a) one of the parties has, not less than forty-five (45) days prior to the Termination Date, delivered written notice that the agreement will terminate on the Termination Date; or, (b) PEC has, not less than thirty (30) days prior to the Termination Date, delivered written notice to the reseller that the renewal of the Term shall be conditioned on the reseller’s accomplishment during the next contract year (or part thereof) of certain sales goals specified in the notice, and the reseller shall have rejected the conditions in writing delivered to PEC. If the reseller does not reject the renewal conditions specified by PEC, then the conditions will be deemed to have been integrated into this agreement as of the first day of the renewal Term. Dealer Registration, Payment Terms and Conditions: Regarding standard terms: company credit card and wire transfers; credit terms can be discussed with PEC and are based on either established credit reports or spending levels with PEC. Accounts more than 10 days past due will be placed on hold. PEC reserves the right to send any account more than 30 days past due to a credit collections agency for payment or seek repayment though the litigation process. These accounts will be reported to the credit bureau and may be subject to additional legal and attorney fees. PEC reserves the right to cancel any account that is placed on hold twice in one calendar year. PEC does not allow for C.O.D accounts, but does accept all major credit cards and wire transfers. PEC will assess a 2% late fee per month on all late payments. Payment: All sums due to PEC pursuant to this agreement, shall be payable upon order. Taxes: The reseller shall be responsible for franchise taxes, sales or use taxes or shall provide PEC with an appropriate exemption certificate. PEC shall be responsible for all other taxes, assessments, permits and fees, however designated, which are levied upon this agreement or the products, except for taxes based upon the reseller’s income. No taxes of any type shall be added to invoices without the prior written approval of the reseller. Trademark Usage: The dealer is hereby authorized to use trademarks and trade names of PEC used in connection with advertising, promoting, or distributing the product and will use their best efforts to promote Protective Enclosures Company, The TV Shield ®, The Display Shield ® and The TV Shield PRO ® to their customer base. The dealer will act consistent with such rights, and the dealer shall comply with any reasonable written guidelines when provided by PEC related to such trademark or trade name usage. The dealer will notify PEC of any infringement of which dealer has actual knowledge. The dealer shall discontinue use of PEC’s trademarks or trade names upon termination of this agreement. 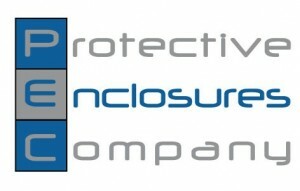 Minimum Selling Price: Protective Enclosures Company, LLC. welcomes you as a US dealer. PEC has made significant changes to how we go to market which we feel will provide maximum benefits and profitability for our dealer. In order to offer our dealers the best opportunity for success, we have established a dealer agreement as well as a MAP / MIP agreement that we ask all of our authorized dealers to execute. The program details are below. Retail Price Maintenance: PEC and its other authorized resellers sell PEC products at retail and thus PEC and its other authorized dealers have a legitimate interest in ensuring that a minimum retail price is supported throughout the channel. Accordingly, the minimum price that the reseller may offer to its retail customers shall be no less than that charged by PEC or its other authorized resellers to their retail customers as disclosed in the PEC dealer price sheet. At no time shall dealer sell or offer to sell the product to retail customers at prices below those shown on the current PEC dealer price list unless approved in writing, in advance by PEC. Alternative selling arrangements including, but not limited to economic arrangements where gifts, rebates, coupons, free gift cards, credit, or free services are provided in conjunction with the sale of the product are expressly prohibited unless approved in writing, in advance by PEC. PEC may from time to time alter the minimum retail selling price of product and reseller agrees that within forty-five (45) days of written notification of a retail price change by PEC that reseller will adjust its resale price accordingly. Agreement to PEC’s Minimum Advertise Price (MAP) and Minimum Internet Price (MIP) policy programs are required to be an authorized PEC dealer/reseller. Consequences of Violation of MAP/MIP Policies: First violation – PEC shall upon notice that a distributor or any reseller connected with said distributor has violated these terms, advise the distributor in writing of the violation and only assess the pricing consequences set forth below so long as the violation is immediately corrected. Second violation – PEC shall upon notice that a distributor or any reseller connected with said distributor has violated these terms a second time, will permanently suspend that distributor’s purchasing status for said products or product category. Third violation – PEC shall upon notice that a distributor or any reseller connected with said distributor has violated these terms a third time will permanently suspend said distributor from purchasing any PEC product of any kind. Consequences as to all violations: if PEC receives notification of any violation prior to any further shipment of goods, that shipment will be terminated. In addition, any and all rebates due or to become due shall be forfeited. Internet Sales: To protect our dealers, PEC strictly forbids any selling of its products on the internet. This includes “Call for best price” or “Call to order” tactics. Dealer partners are forbidden to use PEC’s part numbers or product images on any company websites without express consent from PEC. PEC reserves the right to terminate all dealer privileges if any dealer is found in violation of these policies. Unilateral Pricing Policy (UPP); PEC has established and maintains a unilateral pricing policy for selected products. This policy has been established for the reasons listed below. To protect reseller margins so that pre and post-sale services and infrastructure can be provided. To support brand image by, among other things, avoiding its use as a loss leader. To insure appropriate price levels to facilitate technology development and new product introductions. This policy establishes a minimum pricing level on selected products, outlines the penalties for violations, outlines the scope of the policy and outlines specifics of the product distribution system. Copyrights and Trademarks: All content on this website, including but not limited to text, graphics, or codes are copyrighted as a collective work under the United States and other copyright laws, and are the property of PEC. The collective work includes works that are licensed to PEC. Permission is granted to electronically copy and print hard copy portions of this site for the sole purpose of placing an order with PEC or purchasing PEC products. You may display and, subject to any expressly stated restrictions or limitations relating to specific material, download or print portions of the material from the different areas of the site solely for your own non-commercial use, or to place an order with PEC. Any other use, including but not limited to the reproduction, distribution, display or transmission of the content of this site is strictly prohibited, unless authorized by PEC. All users further agree not to change or delete any proprietary notices from materials downloaded from this site. All trademarks, service marks and trade IDs of PEC used in the site are trademarks or registered trademarks of PEC. 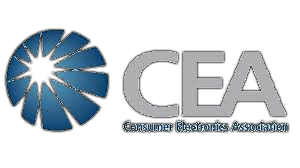 Warranty: PEC hereby represents and warrants that PEC has all right, title, ownership interest and marketing rights necessary to provide the products to the reseller. PEC further represents and warrants that it has not entered into any agreements or commitments which are inconsistent with or in conflict with the rights granted to the dealer in this agreement; the products are new and shall be free and clear of all liens and encumbrances; the dealer and its authorized customers shall be entitled to use the products for authorized use without disturbance; and the products conform in all respects to the product warranties. PEC agrees that the dealer shall be entitled to pass through to authorized customers all product warranties granted by PEC. The dealer shall have no authority to alter or extend any of the warranties of PEC without prior approval of PEC. PEC has made express warranties in this agreement and in documentation. Confidentiality: Each party acknowledges that in the course of performance of its obligations pursuant to this agreement, it may obtain certain information which is either: (a) specifically marked as confidential or proprietary; or, (b) of such a nature that the recipient should reasonably understand that the disclosing party considers the information confidential or proprietary. Each party hereby agrees that all such information communicated to it by the other party, its parent, affiliates, subsidiaries, or customers, whether before or after the effective date, shall be and was received in strict confidence, shall be used only for purposes of this agreement, and shall not be disclosed without the prior written consent of the other party, except as may be necessary by reason of legal, accounting or regulatory requirements beyond either party’s reasonable control. The provisions of this section shall survive termination or expiration of this agreement for any reason for a period of one (1) year after said termination or expiration. Entire Agreement: This agreement constitutes the entire and exclusive statement of the agreement between the parties with respect to its subject matter and there are no oral or written representations, understandings or agreements relating to this agreement which are not fully expressed herein. The parties agree that unless otherwise agreed to in writing by the party intended to be bound, the terms and conditions of this agreement shall prevail over any contrary terms in any purchase order, sales acknowledgment, confirmation or any other document issued by either party affecting the purchase or sale of products hereunder. Severability: Should any part of this agreement be rendered or declared invalid by a court of competent jurisdiction of the State of Florida such invalidation of such part or portion of this agreement should not invalidate the remaining portions thereof, and they shall remain in full force and effect. Venue: This agreement has been entered into and shall be performed in Seminole County, Florida, and shall be construed in accordance with the laws of Florida and any applicable federal statutes or regulations of the United States. Any claims or disputes concerning this agreement shall be adjudicated in Seminole County, Florida.